Services to the real estate market range from feasibility studies, acquisition advice and technical due diligence reports, condition reports, through dispute resolution advice, fund’s surveyor and ad-hoc support to project finance and credit risk management divisions of major banks. Altra Capital works with banks and lending institutions to ensure that funds made available for construction projects are being utilized in the manner intended. Our Lenders’ Supervision Services meet this need, providing regular reports on the issues of quality, cost, risk, schedule, and compliance. 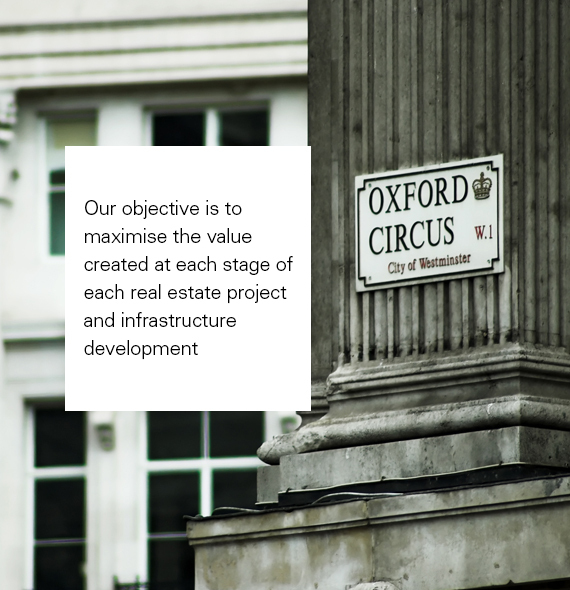 To investors looking to purchase property assets we provide Due Diligence Services bringing together experienced experts and first-rate specialists in an integrated team. Typical services we offer include review of systems and structural design, statutory compliance, review of operation and maintenance regimes, investigative surveys, contracts and commercial review including development potential and feasibility.